Conservation science has long been seen as the domain of trained professionals. At CC, we have long acknowledged the role of indigenous knowledge. This section covers a fascinating project in the Nilgiris, India, a collaboration between Keystone Foundation, a local NGO and Cornell University, USA. The section includes an overview and seven research pieces written by seven by pairs of student researchers including an undergraduate student from Cornell and a young Adivasi community member from the Nilgiris. For a lot of us, disease conjures up images of human suffering. But what about animals and plants? By virtue of being living organisms, animals and plants get diseases and infections caused by the same agents that tend to infect humans: bacteria, viruses, fungi, and protozoa. This issue is an attempt to highlight the ways in which these organisms impact wildlife, and the implications of the resulting infections. The idea of Payments for Ecosystem Services (PES) is intuitively appealing. After all, everybody benefits from the ‘services’ that ecosystems provide such as clean air and water. The idea then is that we should be willing to pay for these services, since not everyone shares the burden of maintaining these ecosystems in a state where they can provide these services. Networks are an entertaining way to model life, both nature and society: quantitative enough for the mathematical-minded, complex enough for the physical-minded, realistic enough for the biological-minded, visual enough for the artistic-minded and simple enough for the non-necessarily-scientist-minded (i.e. for ordinary people). Networks help to link various kinds of data and connect different disciplines. 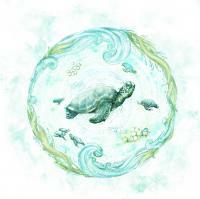 Marine turtles are amongst the most ubiquitous icons of conservation. More, in fact, than perhaps whales and dolphins, or tigers or pandas. Most countries with a coastline—even very cold ones—have some species of sea turtle along their coast. And a conservation programme to go with it. The fact that over 1000 participants from nearly 80 countries attend the Annual Symposium on Sea Turtle Biology and Conservation is testimony to both the popularity of these flagships, and the threats they face. At first glance, an issue on pre-independence mammalogists seems neither current nor about conservation. But it is the work and passion of these early naturalists that provides the foundation for our research in ecology. This issue originated with a series of essays written by the fourth batch (2010-2012) of students of the Post-graduate Programme in Wildlife Biology and Conservation, WCS-India and National Centre for Biological Sciences, Bangalore. In most instances relating to conservation, traditional, local and indigenous forms of knowledge and practice are ignored. In others, they play second fiddle to ‘scientific’ knowledge and practice, and are at best treated with romanticism or charitable condescension. In this issue of Current Conservation, we explore these themes further. If ever there was a thing we took for granted it would be water. Our connection to this precious commodity, our awareness of it, begins and ends at the mouths of the taps in our homes and workplaces. We know little of the impossible journeys it makes to get there - Where does it come from? How far does it travel? What happens to it along the way? It is only when our taps run dry that we reflect on these questions. It is only then that we wonder about the other lives that are touched by the water we finally use. What is the scope for nature in cities? A growing majority of the world’s population now lives in cities. The fastest population growth and most extensive urban expansion is expected to take place in the global south: Asia, Africa and Latin America. Much of the growth is expected in some of the world’s most biodiversity rich areas, including the Western Ghats in India, and Sri Lanka. African lions have been wiped out from 80% of their historic range and continue to decline at an alarming rate due to retaliatory killings, loss of habitat and prey species, exploitation by recreational trophy hunters and commercial trade and disease. This special issue of Current Conservation focuses on conservation issues and the effective management of lions across some important lion habitats.